Transfer News – 6th January, 2016 Marko Grujic seal Liverpool deal, Marco Verratti signs new PSG deal, Stuttgart seal Kevin Grosskreutz deal, Bournemouth eye Stephan El Shaarawy. Marko Grujic seal Liverpool deal, Marco Verratti signs new PSG deal, Stuttgart seal Kevin Grosskreutz deal, Bournemouth eye Stephan El Shaarawy and much more in today’s news roundup. Liverpool boss Jurgen Klopp has sealed his first move as a Liverpool manager. 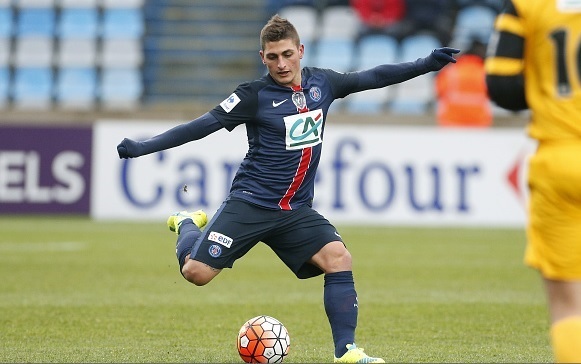 Midfielder Marco Verratti has signed a new deal at Paris Saint Germain which will keep him until 2020. The Italian midfielder has been on top club’s radar including Real Madrid but decided to stay. German side Stuttgart have completed the signing of Kevin Grosskreutz, according to latest reports. Grosskreutz who signed for Turkish side Galatasaray last summer has returned back to Germany. Daily Mail has reported that Bournemouth are planning to make a bid for AC Milan star Stephan El Shaarawy. The Italian who is currently on loan at French side AS Monaco would cost around £10million. Fulham striker Moussa Dembele has been eyed by several top sides Premier League side including Tottenham, Manchester United and City. Dembele has recently rejected to sign contract extension and is eyeing for a Premier League move.